Renewable energy sources are for the first time displacing black coal power in Australia’s National Electricity Market (NEM). That’s according to the latest National Energy Emissions Audit for 2019 from the Australia Institute. It reports that, in the year December 2017-18, grid renewable generation grew by almost a third, reaching 17.6 per cent of total generation in the NEM. However, by adding rooftop solar into the calculation, the share of renewable electricity supplied to consumers rises to 21.4 per cent. The surge is by far the largest year-on-year growth in renewable energy capacity the NEM has ever seen. As a result, Australia’s total emissions now stand at 20 per cent below peak levels reached in 2008. This reduction in emissions (three-quarters of total) is due to solar and wind and other renewable energy sources pushing out high-intensity coal generation. In addition, consumption of grid electricity has fallen as buildings become more energy efficient (remaining quarter). High rates of rooftop solar installation and battery storage also contributed to grid supply over the decade. 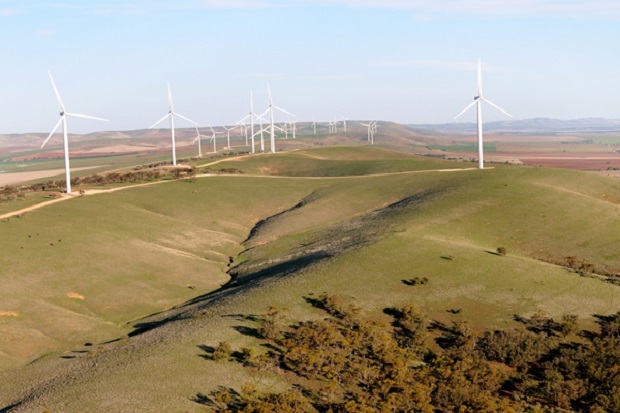 In December, Victoria saw the commissioning of the Crowlands Wind Farm, near Ararat. The project was underwritten by a consortium of 14 leading Melbourne universities, cultural institutions, corporations and local councils. Together, they formed the Melbourne Renewable Energy Project power purchasing agreement (PPA). The group have signed up to buy well over a third of the expected annual output of the wind farm. As a result, the City of Melbourne has become the first Australian capital to be powered by 100 percent renewable electricity. These PPAs are likely to become a new trend in supply contracts for renewable energy, the audit found. It points to stagnant policy direction at federal level and expects electricity users to take the lead on low-emissions generation. Prior to the extreme heatwave that scorched eastern Australia in mid-January, the hottest days of summer occurred on January 3 & 4. Rooftop solar reduced peak demand in South Australia on the 3rd, and Victoria on the 4th, by 9 per cent. As a result, there was less need to run high-cost gas and diesel-fuelled generators in either state. Plus, wholesale prices were also “certainly lower than they would have been without rooftop solar”. As an aside for our regular readers, Energy Matters has been selected as one of the Global Top 75 Solar Energy Blogs. This is based on our comprehensive coverage of Australian energy issues.